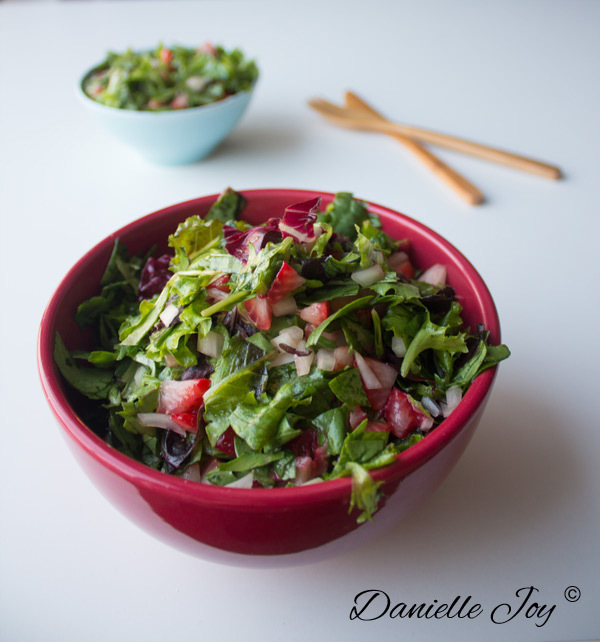 Strawberry Salad with Orange Dressing - Your process has a purpose. Mix the strawberries into the spring mix. For the dressing: mix together the remainder of the ingredients in a glass.